Nongbri is not the first scholar to draw our attention to the problematic nature of the term “religion.” This he readily admits. He is influenced first and foremost by the remarkable scholar of comparative religion Wilfred Cantwell Smith, who in his The Meaning and End of Religion (1962), traced the development of the term “religion” (religio) in the west, showing how the it has changed meaning over time and how it was inextricably connected with polemics and apologetics. These claims are not without merit. Several studies beside Smith have traced the genesis of the term and have reached similar conclusions. Nongbri is also influenced by the work of deconstructionists Tomoko Masuzawa, Russell T. McCutcheon, Timothy Fitzgerald, and in particular Jonathan Z. Smith and Peter Harrison. Pointing to post-Reformation hostilities, Nongbri maintains that these events “not only brought much bloodshed but also disrupted trade and commerce,” inspiring prominent public figures such as John Locke to argue “that stability in the commonwealth could be achieved not by settling arguments about which kind of Christianity was ‘true,’ but by isolating beliefs about god in a private sphere and elevating loyalty to the legal codes of developing nation-states over loyalties to god.” J.Z. Smith, in his incisive Drudgery Divine (1990), described the “Protestant, apologetic, historiographical project” of the reformers as “Pagano-papism,” which was, in a nutshell, Protestant anti-Catholic apologetics. Harrison’s ‘Religion’ and the Religions in the English Enlightenment (1990) also shows how “religion” was constructed “along essentially rationalistic lines.” Harrison too recognizes that “in the seventeenth and eighteenth centuries, ‘paganopapism’ played a major role in the rhetoric of sectarian disputes.” Thus such early attempts to understand “religion” were often marred by polemics; they were attempts to show either the “superiority” of Protestantism over and against Catholicism and other Christian sects, or to promote a deistic, “natural” or “rational” religion. Nongbri returns to themes near the end of the book. For now, Nongbri begins Chapter One, “What do We Mean by ‘Religion,'” with a discussion on the many different definitions of religion. In 1912, professor of psychology James J. Leuba offered more than fifty different definitions of religion. In 1966, anthropologist Clifford Geertz offered a more careful definition of religion as a system of symbols established on conceptions of reality, designed to move and motivate mankind. More recently, historian of religion Bruce Lincoln offered yet another definition of religion in his Holy Terrors (2003) as a “discourse” and “set of practices” within a “community” of believers guided and directed by an “institution.” Nongbri offers his own provocative definition, following the work of philosopher Ludwig Wittgenstein (as interpreted, however, by Richard Rorty): “religion is anything that sufficiently resembles modern Protestant Christianity. Such a definition [he says] might be seen as crass, simplistic, ethnocentric, Christianocentric, and even a bit flippant; it is all these things, but it is also highly accurate in reflecting the uses of the term in modern languages.” What Nongbri intends by this definition is made clearer by the end of the book. Nongbri goes on to add three more points. First, religion is understood, in this modern sense, as essentially private or spiritual, and thus immune from the constraints of language and history. Second, this way of understanding religion sees religion as a “genus that contains a variety of species” (as, e.g., in the “World Religions”). According to Nongbri, “The picture of the world as divided among major ‘religions’ offering alternative means to ‘salvation’ or ‘enlightenment’ is thoroughly entrenched in the modern imagination.”And third, in the academic context, religion is either used descriptively or redescriptively. That is, religion is either described from an observer’s point of view, using the classificatory “systems of a group of people being studied,” or it is redescribed, using a classificatory system completely foreign to the group being observed. The imposition of modern categories of “religious” and “secular” on ancient writings, for example, is the subject of Chapter Two, “Lost in Translation: Inserting ‘Religion’ into Ancient Texts.” Here Nongbri scrutinizes the Latin religio, the Greek thrēskei, and the Arabic dīn, milla, and umma. These terms are often rendered “religion” in modern English translation; however, according to Nongbri, each term had a range of meanings—and none like our modern understanding of religion. “Those aspects of life covered by these terms (social order, law, etc.) fall outside the idealized, private, interior realm associated with the modern concept of religion.” Thus using “religion” to describe the worldview of ancient peoples serves only to mar our understanding of them. In looking at ancient texts from Greek, Roman, and Mesopotamian peoples, for instance, Nongbri finds much incongruity with modern notions of religion. “We are not naming something any ancient person would recognize,” he writes. Chapter Four examines “Christians and ‘Others’ in the Premodern Era,” that is, examples of Christian interaction with “other religions.” Nongbri first looks at Mani and the Manichaeans, who in fact viewed themselves as “Christians,” and who saw “orthodox” Christianity as “inferior, and even “hereticial.” Many scholars have seen Mani as “founding a religion,” but according to Nongbri “Mani’s self-understanding” operated entirely “within the sphere of Christian activity.” Indeed, Jesus remained a key figure to Mani and his later followers. Thus neither the orthodox nor Mani and his followers saw Manichaeaism as the foundations of a new “religion.” And in fact neither did orthodox Christians. Mani and the Manichaeans were viewed, from the beginning, as heretics. Nongbri then turns to John of Damascus and his remarks on Islam. In a tract entitled Peri hairesōn (not unlike Epiphanius of Salamis’ Panarion), John lists a number of heresies, including what he called the “Ishmaelites.” According to John, Islam was not a new “religion,” but rather a Christian heresy. As Nongbri points out, John in fact was not alone in claiming that Muslims were a erroneous Christian sect. From Buddhism to Islam, in short, these traditions were not seen as new “religions,” but, in some sense, as “flawed” Christianity. 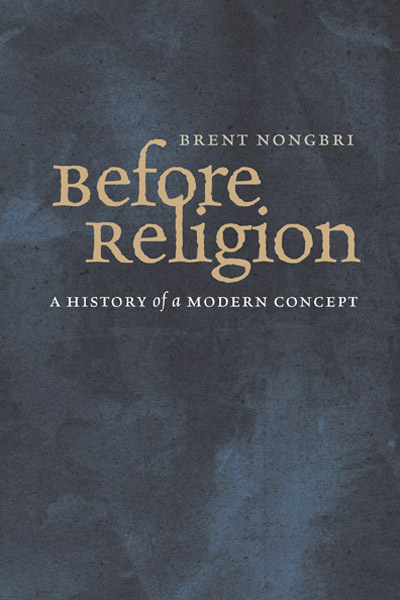 In Chapters Five and Six, Nongbri finally provides an account of the development of the modern notion of “religion.” In “Renaissance, Reformation, and Religion in the Sixteenth and Seventeenth Centuries,” he traces the development and consequences of the fragmentation of Christendom as a result of the reform movements. But first Nongbri wants to examine the idea of the vera religio, or “true religion,” among Italian Neo-Platonists of the Renaissance and seventeenth-century English deists. True religion or worship has always existed. Christianity was simply the best example of this vera religio. It follows that “non-Christian thought, even if vastly deficient, might be expected to show at least some qualities of this vera religio.” This was the position of Augustine, Eusebius, Lactantius, and Photius, among others. By the fifteenth and sixteenth centuries, with the influx of “pagan” wisdom from translations of Greek and Arabic texts, the prisca theologia (“ancient theology”) became the guiding principle of Renaissance thinkers such as Marsilio Ficino and, later, Giordano Bruno. The prisca theologia was the practice of finding harmony between Christianity and pagan philosophy, particularly the Platonic, but also the Hermetic, which emerged from the recent translation of the Corpus Hermeticum. Nongbri’s book is a fine text that synthesizes a great deal of scholarship. It may serve as a useful, quickl reference guide for undergraduates and laypersons alike. However, a point unduly neglected, it seems to me, if one focuses solely on the modern construction of “religion,” is the contribution of Romanticism to the rise of the scientific study of religion (Religionswissenschaft). This was a point emphasized by H.G. Kippenberg in his essay, “Einleitung. Religionswissenschaft und Kulturkritik” (1991). Kippenberg, in brief, argued that the rise of a critical approach—which takes into account historical and cultural differences, but which emphasizes a non-sectarian, non-confessional, and non-reductive attitude—to the study of religion was given impetus by the Romantic movement of the nineteenth century. This, it seems to me, was a necessary condition. Ahistorical explanations of religion, as “priest-craft” or infantile “wish-fulfillment” or “neuroses” are not conducive to the particularities of religion, of its long and complex history, or of its doubtless interconnectedness with different social and political contexts. If Kippenberg’s argument is correct (and I think it is), the question then becomes: what were the origins of the Romantic worldview, and how did it become so crucial for understanding the study of religion? In 1948 English historian Herbert Butterfield presented a series of lectures for the History of Science Committee at the University of Cambridge. There he argued that historians have overlooked an episode of profound intellectual transformation—one apparently comparable in magnitude to the rise of Christianity and that was deeply implicated in the very formation of the “modern mentality.” This episode was of course the Scientific Revolution. But as we have seen from previous posts, the idea of the “scientific revolution,” or, more precisely, “revolutions in science,” had its origins in eighteenth century thought. These traditional narratives by early twentieth-century scholars have customarily focused on a list of canonical figures. These figures usually include Nicholas Copernicus, Tyco Brahe, Johannes Kepler, Galileo Galilei, Rene Descartes, Robert Boyle, and Isaac Newton. Margaret J. Osler’s (ed.) Rethinking the Scientific Revolution (2000) problematizes this canonical list. Questioning the canon leads, according to Osler, to inquire why and how it was formed in the first place. Rethinking the Scientific Revolution is in memory to Betty Jo Teeter Dobbs and Richard S. Westfall, best known for their studies on Isaac Newton and the scientific revolution in the seventeenth century. This new approach, Osler argues, is at odds with traditional accounts of the scientific revolution. From nineteenth-century positivist Ernst Mach, historians have told a story that stresses radical discontinuity of the scientific revolution from what came before. This is the story Westfall reiterates. This assumption also embodies an “essentialism” about science, according to which science it defined as unchanging and unambiguously identifiable in every historical era. This essentialism creeps into the interpretation of the scientific revolution itself: having defined the nature of the scientific revolution, historians, such as what H. Floris Cohen has done in his The Scientific Revolution, searched this event and explanations of it. Cohen, who undertook the daunting task of examining the entire historiography of the scientific revolution, as we have seen, nevertheless remained committed to both the reality of the revolution and to its historiographical utility. Since historians of science have interpreted Newton’s work as the climax of the narrative they call the scientific revolution, this radical shift in understanding of the meaning of his work forces us to reconsider may of the received opinions about the nature of the scientific revolution. The first essay by Betty Jo Teeter Dobbs, presented at the Annual Meeting of the History of Science Society in 1993, opens the discussion by stating her intention “to undermine one of our most followed explanatory frameworks, that of the scientific revolution.” Following I.B. Cohen’s work, Dobbs argues that the narrative of the scientific revolution was constructed in the eighteenth century, when natural philosophers selectively took up Newton’s physics and mathematics while ignoring his alchemical and theological views. Newton, according to Dobbs, is key: “as science accumulated more and more social prestige in the later eighteenth, nineteenth, and twentieth centuries, the image of Newton as principal cultural hero of the new science was handed on and further polished by succeeding generations of scientists and historians.” Indeed, Newton is “the hidden end toward which the whole narrative [i.e. the scientific revolution] is inexorably drawn.” Newton is not only the First Mover in historians’ account, he is also the Final Cause of the scientific revolution. But to my mind the issue of the proper interpretation of our scientific heroes has been the most pressing problem of all, a problem that was at least in part generated by the concept of the Scientific Revolution. I think the problem arises somewhat in this fashion: we choose for praise the thinkers that seem to us to have contributed to modernity, but we unconsciously assumed that their thought patterns were fundamentally just like ours. Then we look at them a little more closely and discover to our astonishment that our intellectual ancestors are not like us at all: they do not see the full implications of their own work; they refuse to believe things that are now so obviously true; they have metaphysical and religious commitments that they should have known were unnecessary for a study of nature; [and] horror of horrors, they take seriously such misbegotten ideas as astrology, alchemy, magic, the music of the spheres, divine providence, in salvation history. In short, Dobbs calls historians of science to understand the presuppositions and assumptions of their historical actors rather than searching for anticipations of modern ideas in their thought. In defending the historiography for which he was one of the most distinguished spokesmen, Westfall responds with reasserting the scientific revolution as “our central organizing idea,” because without it “our discipline will lose its coherence and, what is more, the cause of historical understanding take a significant set backward.” Thus Westfall, Osler argues in her introduction, is “fundamentally forward-looking, based on the assumption that what is interesting in the past are those developments that led to our present understanding of the world.” The crucial difference between Westfall and Dobbs, then, is that Westfall assumes that thinkers in the past are similar to us and that what is important for the historian is that aspect of the thinkers works that has survived until the present or that had led to our present way of looking at things. Peter Barker agrees that Dobbs’ work “not only shifted the boundaries of Newton scholarship, she changed its center.” In his essay Barker wants to reexamine the “role of religion in the Lutheran response to Copernicus.” According to Barker the doctrine of the Real Presence, stipulated in the Augsburg Confession of 1530, article 10, that “Christ’s body and blood is truly present in, with, and under the bread and wine of the sacrament,” encouraged Lutherans to study any and all aspects of nature, for to do so was coming to know more about God. “For Luther and his followers, the Real Presence was distributed throughout all objects.” These Lutherans became known as the “Wittenberg Astronomers,” and including Philipp Melanchthon (1497-1560), Joachim Rheticus (1514-1574), Andreas Osiander (1498-1552), Erasmus Reinhold (1511-1553), and Hilderich von Varel (1533-1599). In short, according to Barker, Lutherans expressed an early and strong interest in Copernicus’ work, even arranging for it publication. By the end of the sixteenth century, if you were a Protestant studying almost anywhere in German-speaking Europe, you would have been taught the Copernican system. By the time of Kepler’s education at Tübingen in the 1580s, for example, distinct positions on Copernicus’ work had emerged in northern Europe. Moving into their more esoteric studies, Lawrence M. Principe discusses “the alchemy of Robert Boyle and Isaac Newton: alternate approaches and divergent deployments.” His title already suggests that Newton and Boyle—much like everything else—approached alchemy from different angles. According to Principe, those seeking the secrets of alchemy approach the subject through three kinds of sources: (1) the written record left by past adepti; (2) direct communication with living sources; and (3) laboratory investigation. Newton’s alchemical manuscripts, for example, consists of material not his own. “By far the great part of Newton’s alchemical output is in the form of transcriptions, translations, extracts, collations, and compendia of various alchemical authorities. By contrast, most of Boyle’s alchemical tracts are in fact gifts from their authors or copies made by others, rather than copies made specifically by Boyle. Principe also examines what specific benefits these two students of alchemy expected to reap from such activity. In the case of Boyle, for example, the rewards were increased natural philosophical knowledge, medicinal preparations, and defense of orthodox Christianity. Boyle also expected to obtain the alchemical summum bonum, the secret of the preparation of the Philosopher’s Stone. Newton, on the other hand, expressed doubt in the real existence of the Philosopher’s Stone. Rather, for Newton the study of alchemy was a search for the existence and means of divine activity in the world. Thus an area of relative commonality between Boyle and Newton’s alchemical investigations lies in the service they believed alchemy could render to religion. Indeed, both men “sought alchemy as a corrective to an overly mechanized and potentially atheistic worldview.” Principe shows the ways in which alchemical ideas were important to Boyle and Newton, who are frequently considered to be mechanical philosophers. While twentieth-century scientists and historians may value Newton’s contributions to mathematics and physics, religious fundamentalists, as Richard Popkins demonstrates in his “Newton and Spinoza and the Bible scholarship of the day,” are more impressed by his approach to biblical scholarship. But Newton, Baruch Spinoza (1632-1677) and Richard Simon (1638-1712) all took seriously the problems that had arisen in the collection, editing, and transmission of Scripture, and that Newton was not committed to claiming the inerrancy of the biblical texts. Margaret C. Jacob concludes the collection by arguing that the “revolution in science” was constructed in the eighteenth century when natural philosophers selectively took up Newton’s physics and mathematics while ignoring his alchemical and theological views. At this juncture it is worth mentioning the tireless, and more recent, work of Stephen D. Snobelen, whose main scholarly area of interest is Isaac Newton’s theological and prophetic writings. In several places, beginning with “Isaac Newton, heretic: the strategies of a Nicodemite,” The British Journal for the History of Science 32 (December 1999): 381-419; “‘God of Gods, and Lord of Lords’: the theology of Isaac Newton’s General Scholium to the Principia,” Osiris 16 (2001): 169-208; “‘A time and times and the dividing of time’: Isaac Newton, the Apocalypse and 2060 A.D.,”The Canadian Journal of History 38 (December 2003): 537-551; “To discourse of God: Isaac Newton’s heterodox theology and his natural philosophy,” in Science and dissent in England, 1688-1945, ed. Paul B. Wood (2004), pp. 39-65; “Lust, pride and ambition: Isaac Newton and the devil,” in Newton and Newtonianism: new studies, ed. James E. Force and Sarah Hutton (2004), pp. 155-181; “Isaac Newton, Socinianism and ‘the one supreme God’,” in Socinianism and cultural exchange: the European dimension of Antitrinitarian and Arminian Networks, 1650-1720, ed. Martin Mulsow and Jan Rohls (2005), pp. 241-293; “‘The true frame of Nature’: Isaac Newton, heresy and the reformation of natural philosophy,” in Heterodoxy in early modern science and religion, ed. John Brooke and Ian Maclean (2005), pp. 223-262; “‘Not in the language of Astronomers’: Isaac Newton, Scripture and the hermeneutics of accommodation,” in Interpreting Nature and Scripture in the Abrahamic Religions: History of a Dialogue, ed. Jitse M. van der Meer and Scott H. Mandelbrote. Vol. 1 (2008), pp. 491-530; “Isaac Newton, heresy laws and the persecution of religious dissent,” Enlightenment and Dissent 25 (2009): 204–59; “The Theology of Isaac Newton’s Principia mathematica: a preliminary survey,” Neue Zeitschrift für Systematische Theologie und Religionsphilosophie 52 (2010): 377–412; “The myth of the clockwork universe: Newton, Newtonianism, the the Enlightenment,” in The persistence of the sacred in modern thought, ed. Chris L. Firestone and Nathan Jacobs (2012), pp. 149-84; and “Newton the believer,” in The Isaac Newton Guidebook, ed. Denis R Alexander (2012), pp. 35-44, Snoblelen reveals Newton as a true Renaissance man, who spent decades delving in the secrets of alchemy and even longer studying the Bible, theology and church history. Leaving behind four million words on theology, “Newton was one of the greatest lay theologians of his age.” In his essays, Snobelen’s explores Newton’s theology, prophetic views and the interaction between his science and his religion. 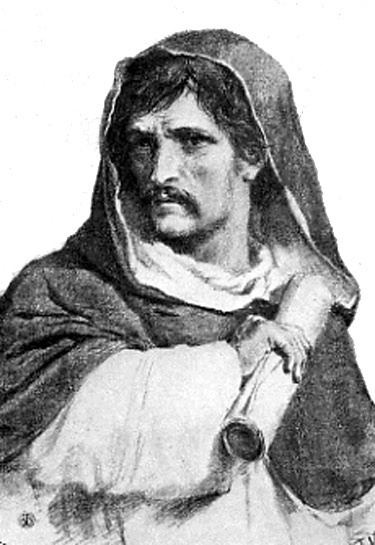 In 1600, on the seventeenth of February, Giordano Bruno (1548-1600), an Italian Dominican friar, philosopher, mathematician and astronomer, was ceremoniously burned at the stake in Rome’s Flower Market by the Roman Inquisition. His end is brutal to modern sensibility but not exceptional in the early modern period. But Bruno’s death stands out, mentioned in passing in most popular and even academic surveys of the emergence of modern science. Specifically, Bruno was linked to modern science by his advocacy of a version of Copernicus’ heliocentric planetary hypothesis and the idea that our universe is infinite, with many suns and planets. A few popular and academic texts go so far as to identify him as the first scientific martyr, an incendiary example of the inevitable collision between rigid theological dogma and freedom of speculation within natural philosophy—the precursor to modern science. But as we saw with the myth of Hypatia, the actual historical account is far more complex. Bruno was a radical utopian thinker. Although heliocentrism was a prominent aspect of his worldview, it was not the reason for his execution. John Hedley Brooke’s acute summary of Bruno in his Science and Religion: Some Historical Perspectives provides an excellent starting point. According to Brooke, Bruno was familiar with a collection of texts known as the Corpus Hermeticum, then thought to be the writings of an Egyptian sage, Hermes Trismegistus. Where some saw in the Hermetic texts an anticipation of Christianity, Bruno saw an alternative. Indeed, he hoped they would provide the basis of a religion that could unite the warring factions of the Church. His world-picture was colored by a magical philosophy that almost became his religion. He described Moses as a magus who, learning his magic from the Egyptians, had out-conjured the magicians of Pharaoh. The true cross, for Bruno, was the Egyptian cross—full of magic power for tapping astral influence. The Christian cross was a weak derivative. His infinite universe doctrine, moreover, was more theologically innovative than a careful extrapolation of Copernican astronomy. Indeed, to detach the metaphysical theology in which they were embedded would be a violation of Bruno’s integrity as a thinker. Deeply unorthodox, the unique features of Bruno’s universe arose from an original blend of several philosophical traditions. He was attracted by the atomic theories of antiquity, which had themselves been associated with the possibility of plural worlds as different combinations of atoms passed in and out of being. He was also attracted to the reasoning of Nicholas of Cusa (1401-1464), who had imagined a universe with no center and in which space was homogeneous. The Copernican system, Bruno believed, fitted perfectly in such a universe and provided a model for other planetary systems extending to infinity. Space was unbounded; for, repeating the question of Roman poet and philosopher, Lucretius (99 BC-55BC), Bruno asked what would happen if one thrust one’s hand through the supposed boundary. An infinite universe containing infinite world was philosophically the most coherent vision in Bruno’s eyes. It was also theologically the most coherent. If divine omnipotence had been really displayed, the deity would have had to created those other worlds that Bruno’s scholastic predecessors had acknowledged. He could have (but actually had not) made. God’s infinitude, so Bruno argued, could only be expressed by creating infinite worlds—worlds that were real, not hypothetical. It was not enough that God could have done what Aristotle had deemed impossible. The immensity and perfection of God require that it had been done. A physics of the infinite was the correlate of a theology of the infinite, however heterodox that theology was perceived to be. In effect, Bruno argued that divine attributes could be given physical meaning. Such transformations of metaphysical axioms into prescriptions for the natural world were extremely common in early modern science. Bruno’s complex thoughts derived from many sources, from the Neoplatonists of the third century, to Italian humanist and astrologer Marsilio Ficino (1433-1499), to German magician, occult writer, theologian, astrologer, and alchemist, Heinrich Cornelius Agrippa von Nettesheim (1486-1535). The real Bruno is meticulously discussed in detail in Frances A. Yates pioneering work, Giordano Bruno and the Hermetic Tradition (UCP, 1964). Thus, as Jole Shackelford argues in his entry in Numbers’ Galileo Goes to Jail, the evidence suggests that his interrogators were more concerned by his theology, by matters of church discipline, and by his contacts with other known heretics, than by his Copernicanism. By sixteenth-century European measures, Bruno was a heretic. He doubted the virgin birth and the identification of God with Christ, whom he regarded as a clever magician. When sent to the Inquisition, he refused to recant these and various other propositions. So the question remains: How did this defrocked monk and unrepentant heretic who denied the doctrine of the Trinity come to be the world’s first martyr to science? How did his name become inextricably linked to the supposed conflict between science and religion? He [Bruno] was hunted from land to land, until, at last, he turns on his pursuers with fearful invectives. For this he is imprisoned six years, then burned alive and his ashes scattered to the winds. Still the new truth lived on; it could not be killed. Within ten years after the martyrdom of Bruno, after a world of troubles and persecutions, the truth of the doctrine of Kopernik [sic] was established by the telescope of Galileo. While White does not explicitly say that Bruno was put to death because of this scientific ideas, the connection is implicit in his statement: Bruno was a Copernican and he was persecuted and martyred, but the Copernican truth could not be killed with him; Galileo proved this truth soon after his martyrdom. the compelling story of one of history’s most intriguing yet little-known natural philosophers—a sixteenth-century Dominican priest whose radical theories influenced some of the greatest thinkers in Western culture—and the world’s first martyr of science…The Inquisition’s attempts to obliterate Bruno failed, as his philosophy influence spread: Galileo, Isaac Newton, Christian Huygens, and Gottfied Leibniz all built upon his ideas…a martyr to free thought. Again we see the implicit reasoning: Bruno was an innovative natural philosopher; he was executed by the church for his ideas, which eventually formed a basis for modern science; ergo the church killed him to limit the free development of scientific ideas. Thus despite more sophisticated accounts, as found in Yates and others, the myth of Bruno as “the world’s first martyr to science” thrives. Shackelford believes part of reason for this lies in the aims of nineteenth-century historiography. “For various reasons,” he writes, “post-Enlightenment historical essayists sought to exalt Bruno as an exemplary figure in the struggle for free thought against the confining authority of aristocratic government supported by religious orthodoxy.” This view was already gaining ground among eighteenth-century Enlightenment thinkers. Finally, Shackelford argues that the disproportionate role of Galileo and the triumph of heliocentric cosmology secured Bruno’s position as a martyred, visionary forerunner to Galileo’s own struggle to free philosophy from the constraints of dogmatic theology in Catholic Italy. This is reminiscent of Russell’s thesis in Inventing the Flat Earth, that modern myths about the relationship between science and religion are often myths within larger, overarching other myths. That is, the myth of the Galileo affair (which we will cover in a later post), where it is believed that Galileo was imprisoned and tortured for his advocacy of Copernicanism, unwittingly gave Bruno salience in the historical record. But in the end all of it was a lie. As Shackelford writes, “the Catholic church did not impose thought control on astronomers, and even Galileo was free to believe what he wanted about the position and mobility of the earth, so long as he did not teach the Copernican hypothesis as a truth on which Holy Scripture had no bearing.” Thus Shackelford advises current historians to “look beyond the construction of the myth of Bruno as a moralistic topos in the triumphant struggle between the freedom of scientific inquiry and the shackles of conformity it the dead letter of religious revelation. Instead we must examine the actor’s own contexts for clues to meaning and categories that can explain his history. In Bruno’s day, theology and philosophy were of one piece, inseparable.” There is much to consider in order to place Giordano Bruno in the right context.